Mobile Games stand as one of the most profitable app category to invest these days. However, the temptation to earn big and make great games needs a passionate team behind it and this is where we step in. As one the early beginners in the trade of mobile game development services, we have 3 years of experience in making all types of mobile games. We have been through a steep learning curve and extended our services to mobile game testing and mobile game marketing too. Gaming applications become a necessary part in the mobile and web industry that grows business rapidly with billions of dollars. Developing an appealing game requires creative mind-set, special expertise and interesting story-line, so our experts have all these qualities. Our iPhone,iPad and Mac Game Developers have developed some extremely good games. We know what it takes to produce a winning combination of design, engineering, surprise, and just plain fun. One of the most challenging things about designing games today is the sheer number of different gaming platforms that are out there. Even if you are skilled at producing games for one system or platform, you may be completely lost when it comes to another. Or perhaps, you are full of ideas but don’t know how to implement them to create games that are as much fun to play as they are to think about. Luckily, there is a solution. Openxcell Studio is a top game design and development company that will work with you no matter what system or platform you choose for development. Gamers on the go today play on iOS systems like iPhone and iPad as well as Android tablets and phones. These games are nothing like they were even a few years ago. A mobile game can be fully interactive, include touchscreen features and even connect online to allow gamers to play with friends both near and far. Our advantage as Indian game developers is our flexibility. 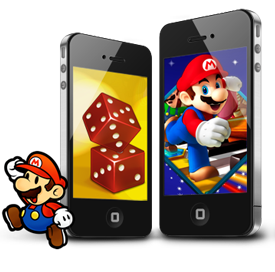 We can help you design games that succeed on any type of mobile platform.